OxygenOS 5.0.4 Rolling Out To OnePlus 3/3T With July Security Patch, Improved Image Quality For Front Camera & More - AndroGuider | One Stop For The Techy You! The OnePlus 3 and OnePlus 3T are nearing the end of their software update cycle. OnePlus released the final Open Beta build for the two smartphones a couple of days back, and now the Chinese company is rolling out a stable update for its 2016 flagships. OxygenOS 5.0.4 includes the July security patch, improvements to the camera, and fixes for third-party apps. 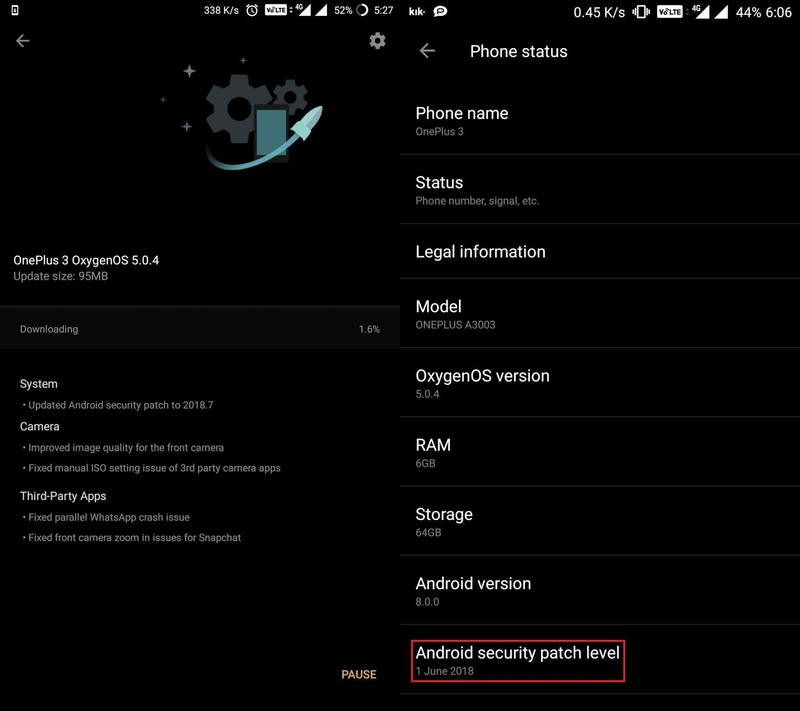 If you will go to the 'About phone' section, you will find the Android security patch level mentioned as '1 June 2018'. OnePlus has confirmed that this is a typo, and the July security patch is indeed present. Usually, OTA updates from OnePlus can be obtained instantly by using a VPN application and setting the country to Canada or Germany. OnePlus has explicitly stated that the VPN method may not work with this update. However, several users on the OnePlus forums confirmed that the VPN method was in fact working. OnePlus will be posting the download file of OxygenOS 5.0,4 after the global rollout of the update is completed. 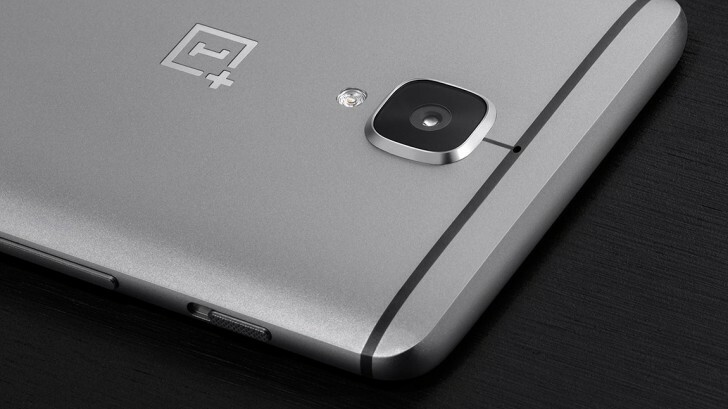 Contrary to our expectations, OnePlus won't be releasing any software update for those using the final Open Beta. These users will instead have to manually install OxygenOS 5.0.4 after OnePlus posts the flashable file. This might bring some hope for the Android 8.1 update, but keep in mind that OnePlus backed out of the Nougat update for the OnePlus 2 and OnePlus X.